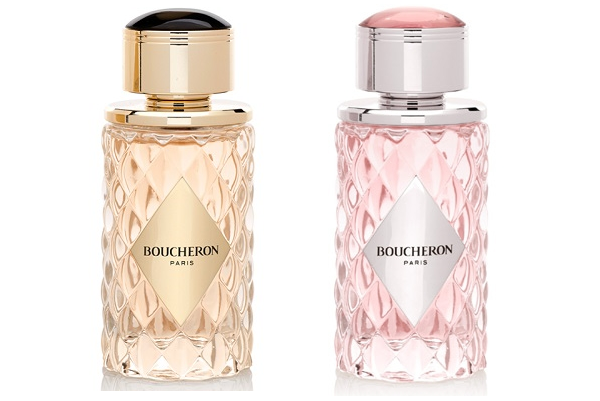 Luxury brand Boucheron especially known for their high-end jewelry has created the most beautiful looking jewel like bottles to encase their gorgeous fragrances. I love this quote that explains the fragrance: “A story rather than a face. A story of light. While Paris continues to dream, the sun’s rays slide over the rooftops. The dome of the Invalides becomes a gigantic gold flower. The sun continues to rise, its rays crossing the arcades. Shadows slip from the Vendôme Column, which points majestically at number 26. In a white light, she appears. She is the heroine. On her skin, ephemeral finery to enhance the glow found deep within each woman. Boucheron Place Vendôme.” It comes in a EDP and EDT variant but both smell entirely different. The fragrances are named after the address where the first house of Boucheron was situated in Paris, make these two very sentimental and special to the brand. It’s exactly what you would expect of a classy, super expensive luxe brand from the quilted effect white packaging that mirrors the paving stones on the Place Vendome, to the hefty dressing-table bottle that mirrors the quilting in glass, topped by a smoky quartz topped cap. This release is worthy of the Boucheron name and saying more about the woman who wears Boucheron (ie. I am wealthy and selective). The EDP opens with fresh notes of orange blossom, pink pepper and rose essence. At the heart you find peony, jasmine petals and honey. Warm sensuous accords of cedarwood and benzoin complete this bouquet. The EDT opens with notes of yuzu, osmathus and peony. Floral notes of iris, rose essence and jasmine petals appear before the base of cedarwood and white musk. Boucheron Place Vendôme is the perfect scent for an elegant and energetic woman that likes to be noticed. This top end fragrance is available in both EDT (R735 for 50ml, R1095 for 100ml) and EDP (R795 for 50ml, R1235 for 100ml).